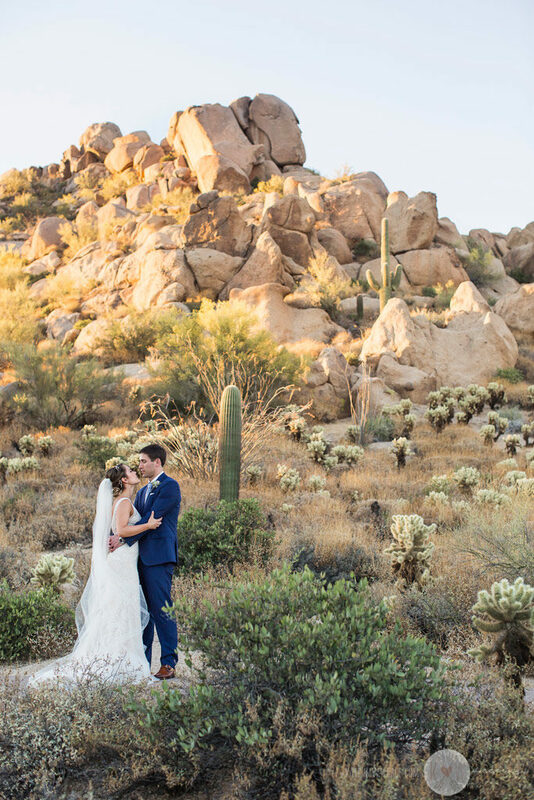 The Four Seasons Scottsdale is an easy choice for those seeking natural desert beauty in the boulders and hills of North Scottsdale, Arizona. 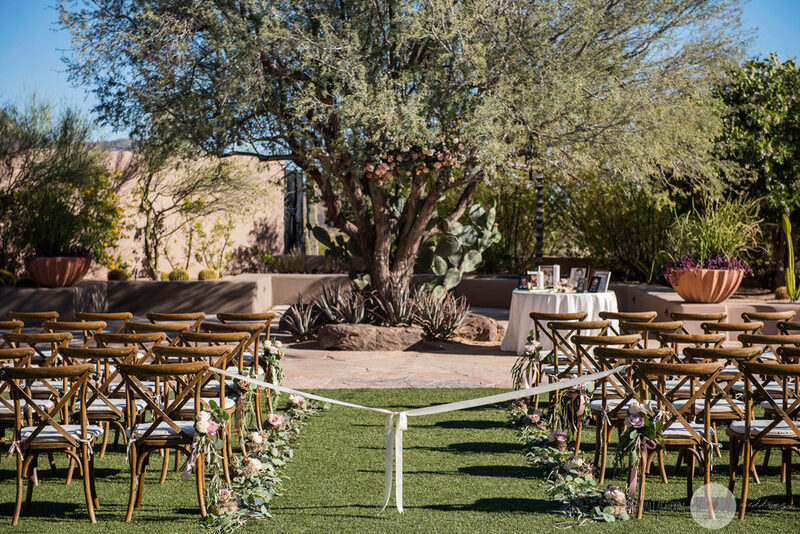 Situated outside of the hustle and bustle of the city, the Four Seasons offers wide open spaces and incredible architectural beauty! 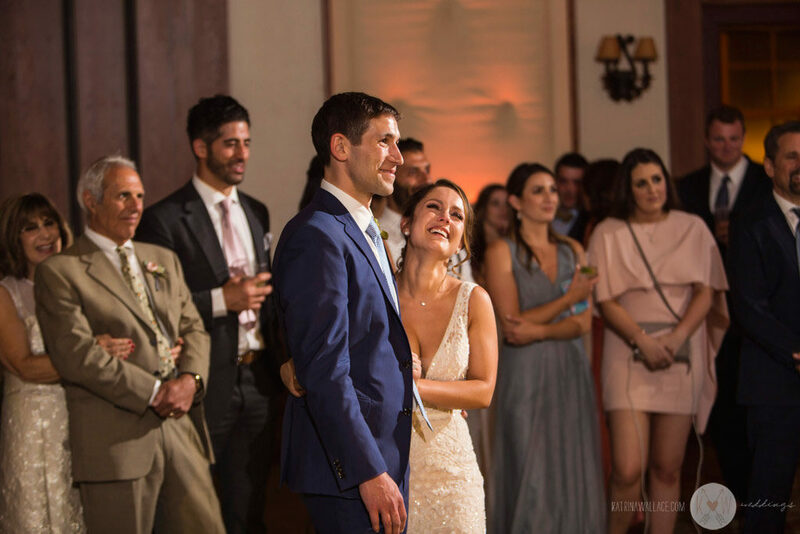 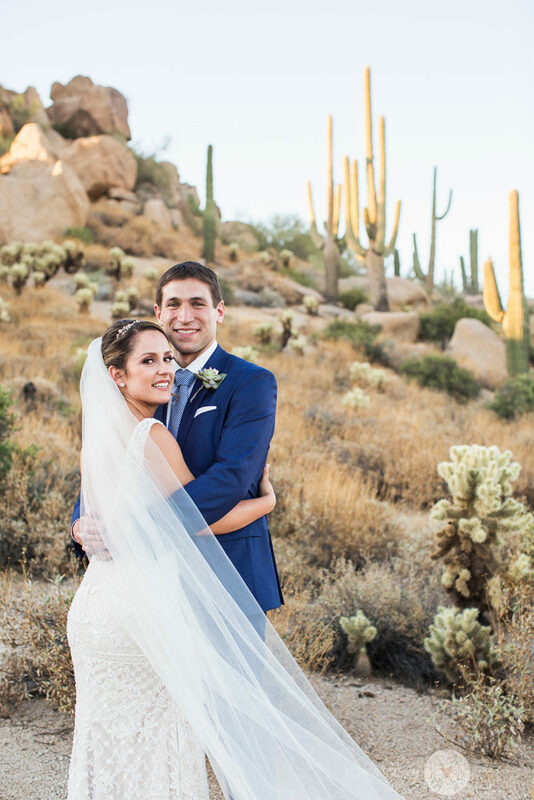 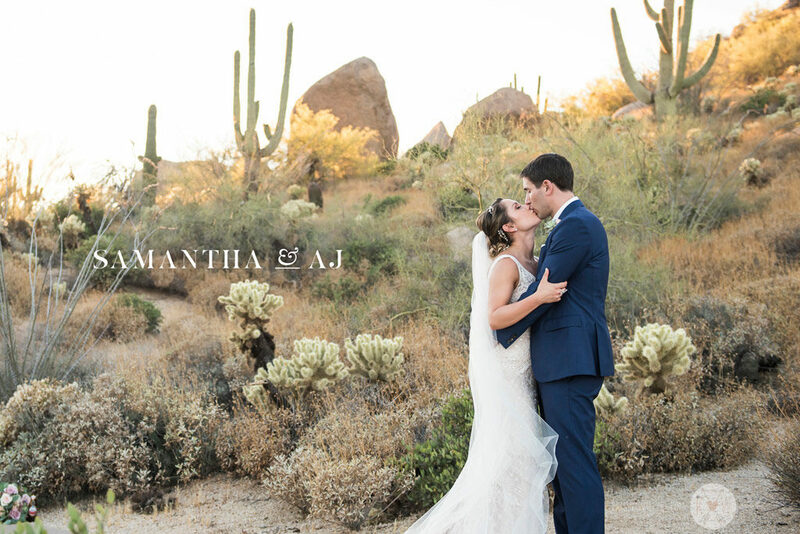 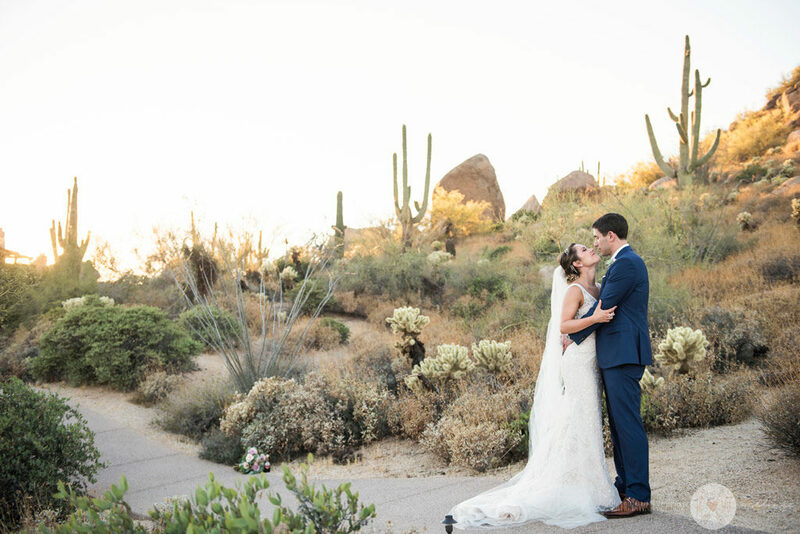 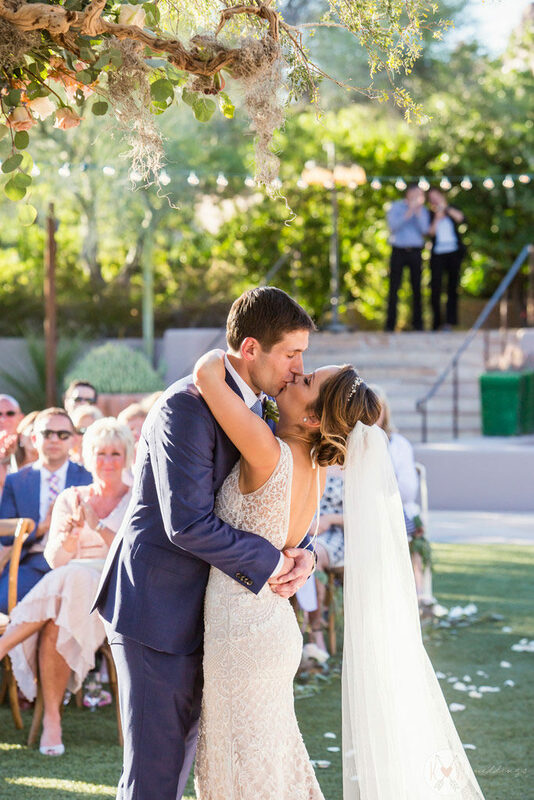 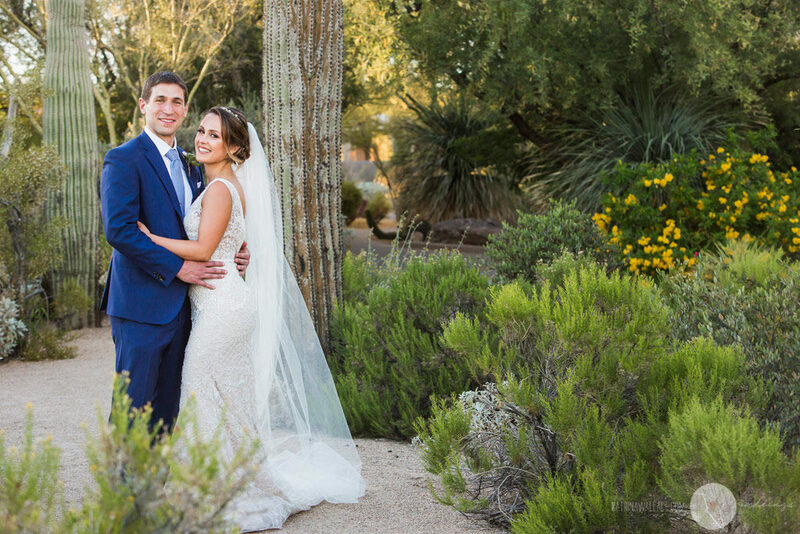 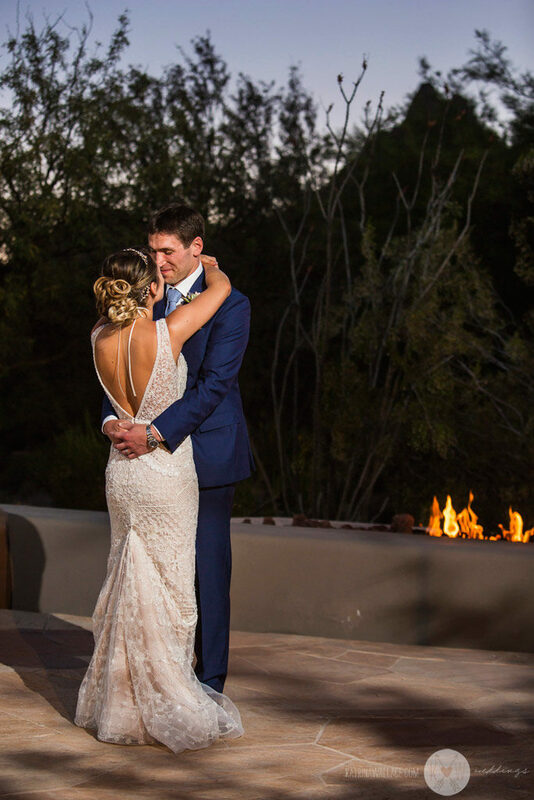 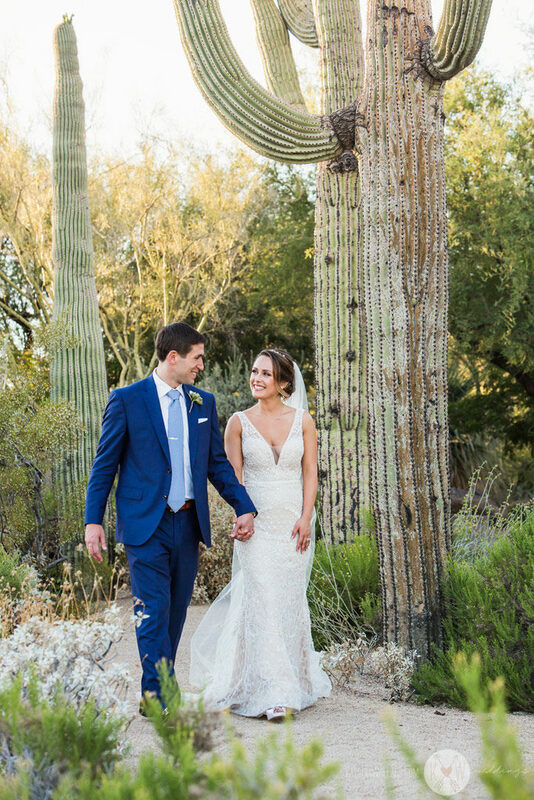 This sweet couple treated their family and friends to a destination desert getaway Arizona for their wedding. 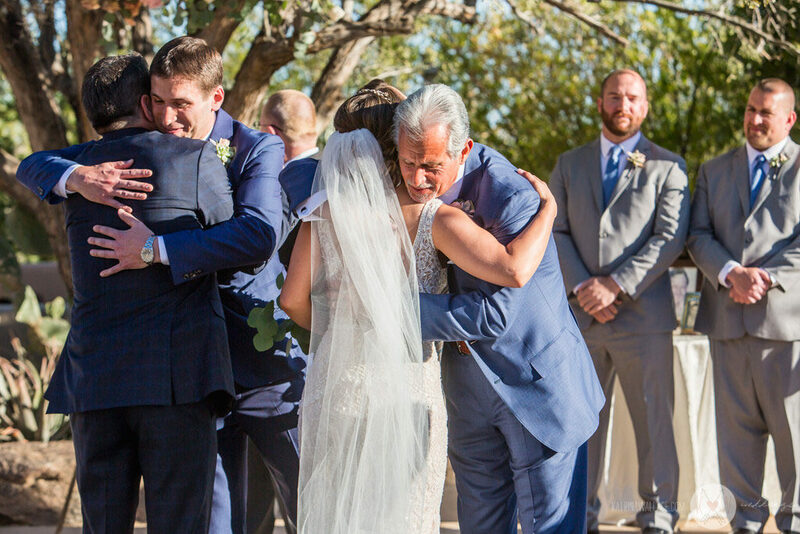 Family and friends came from all over to attend this beautiful wedding. 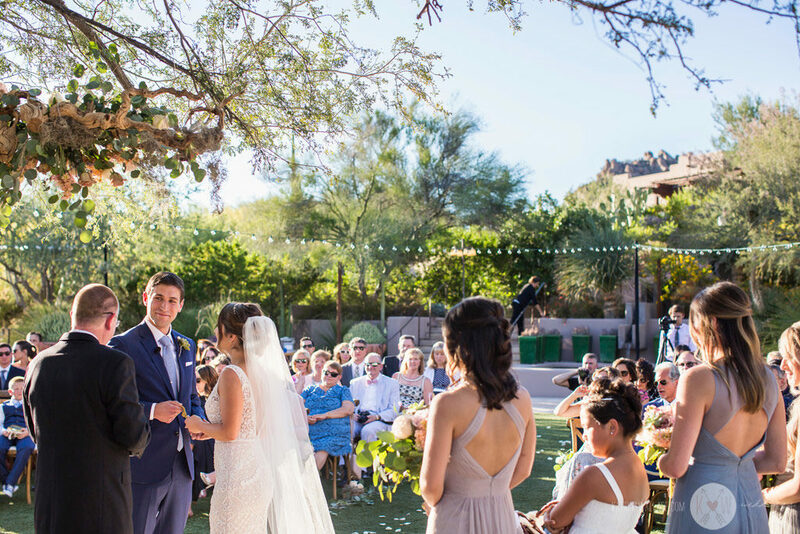 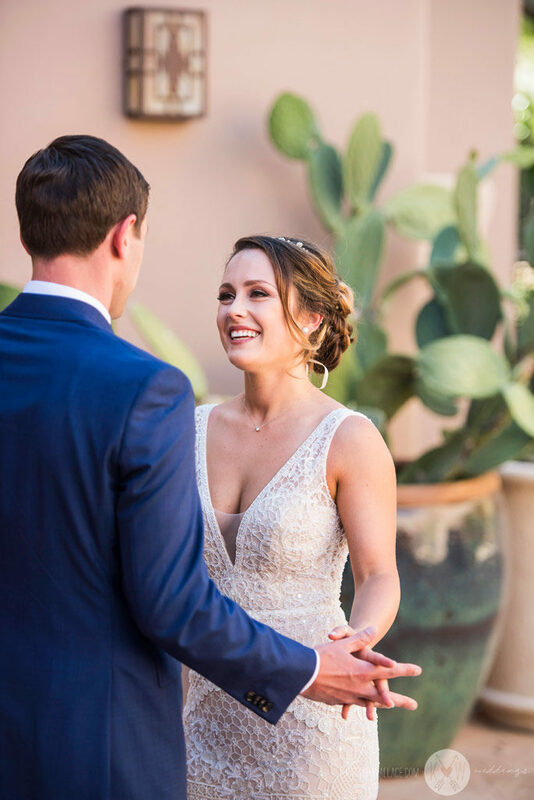 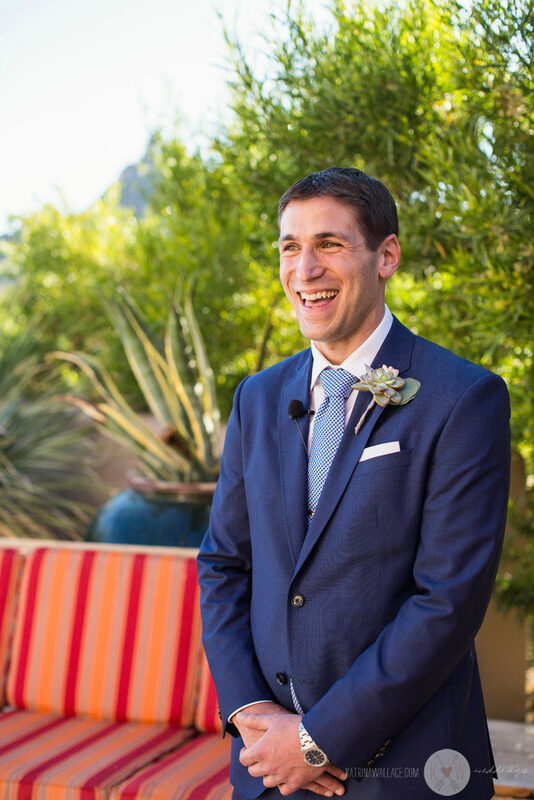 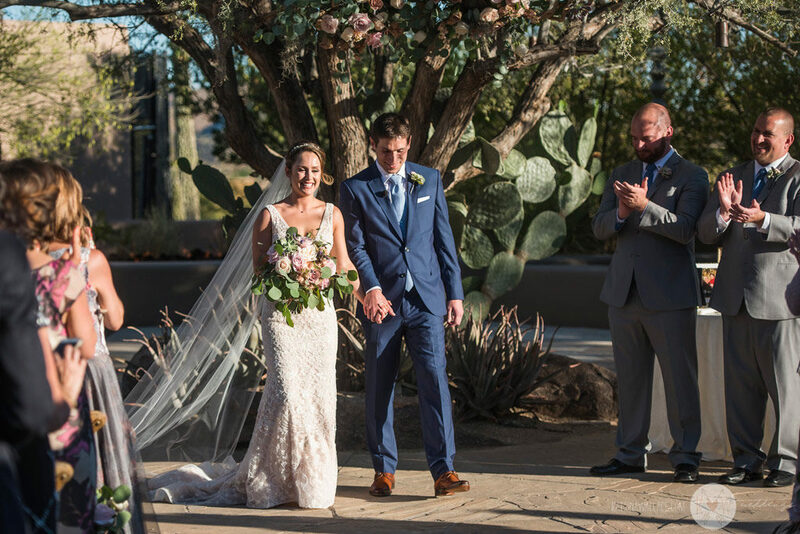 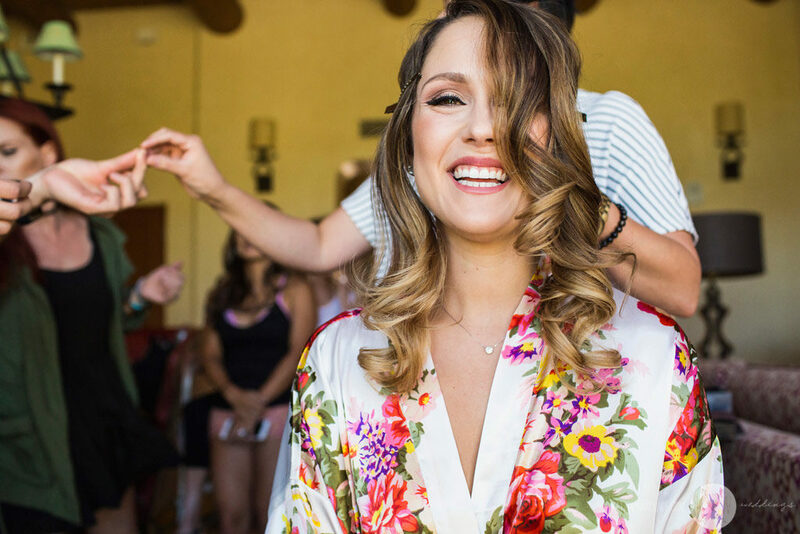 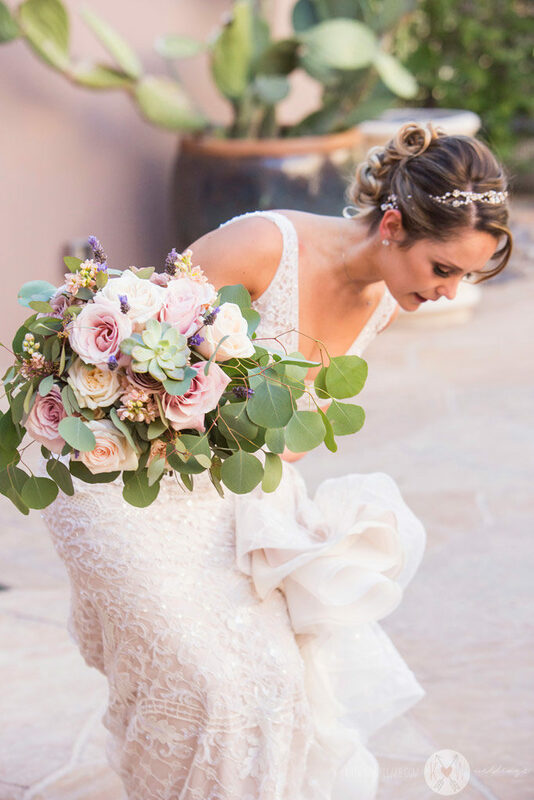 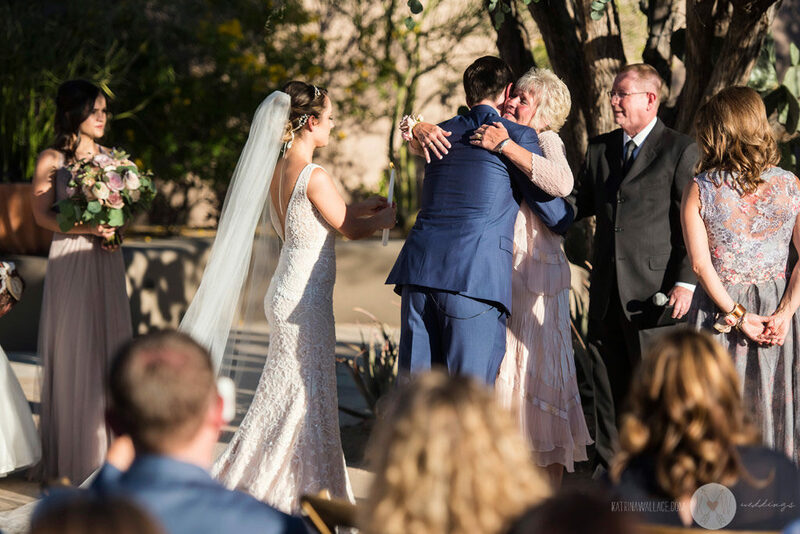 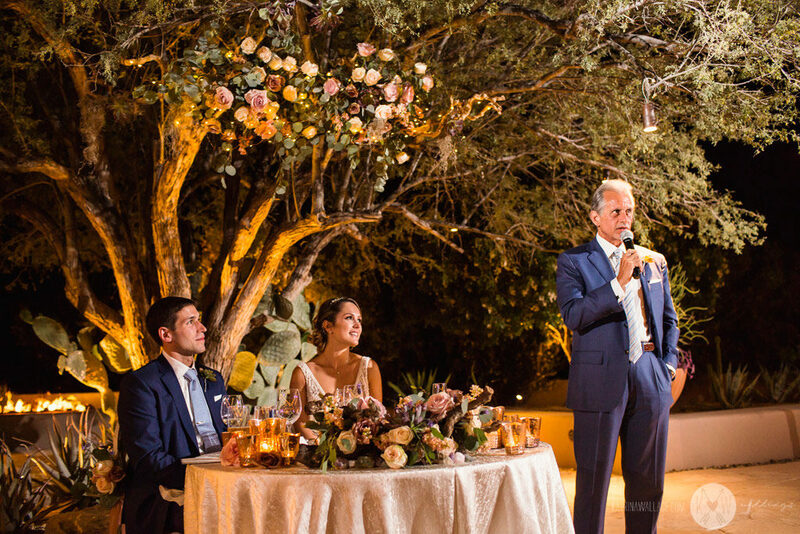 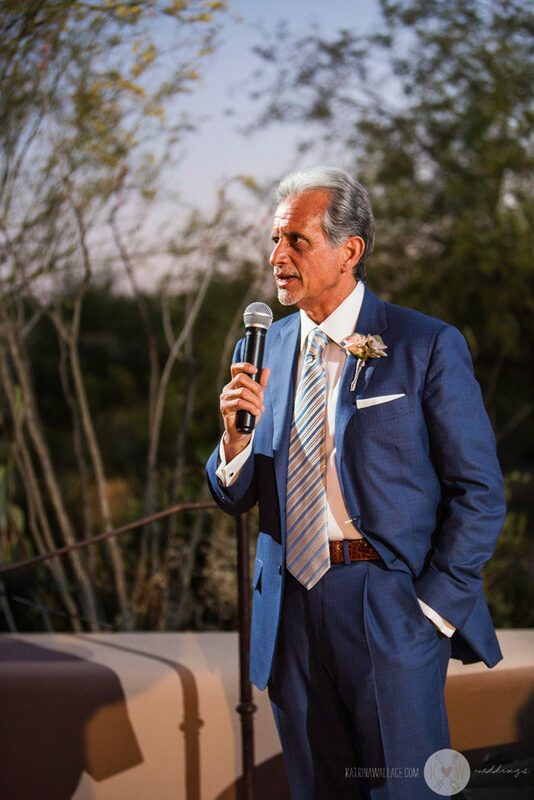 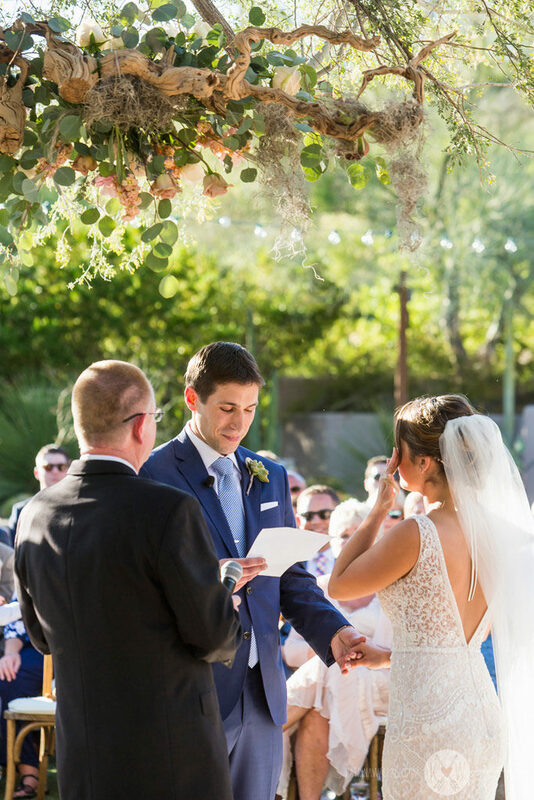 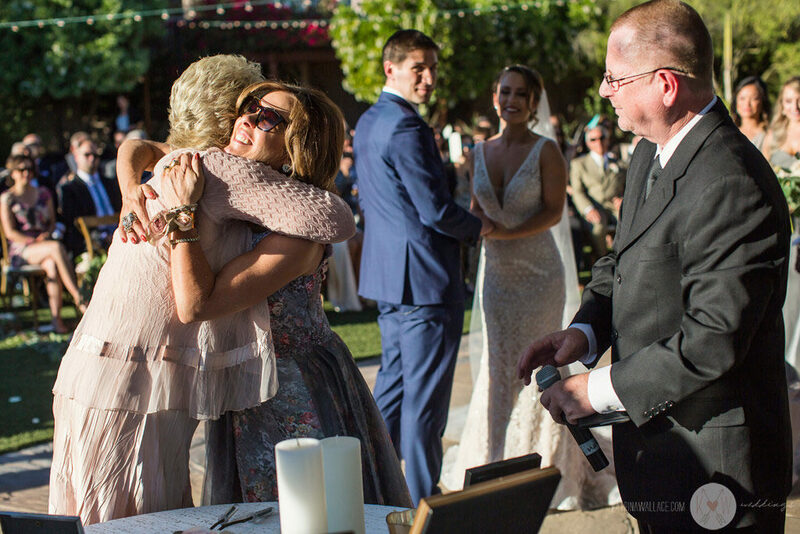 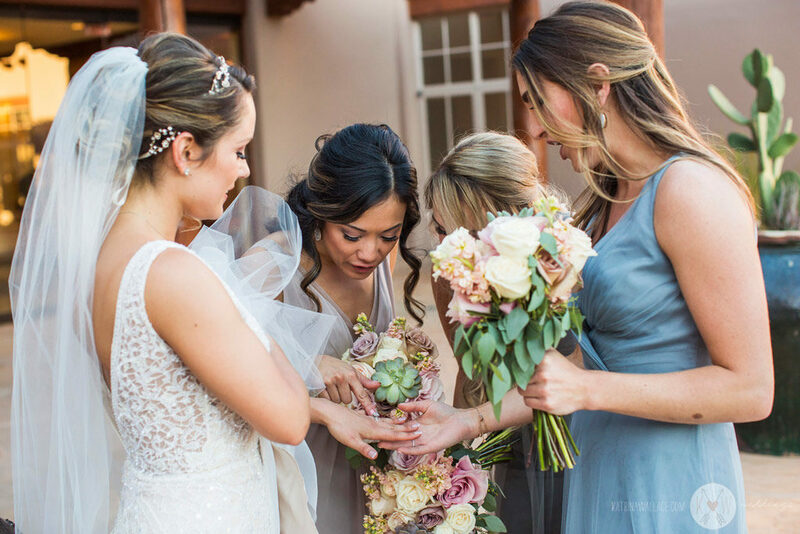 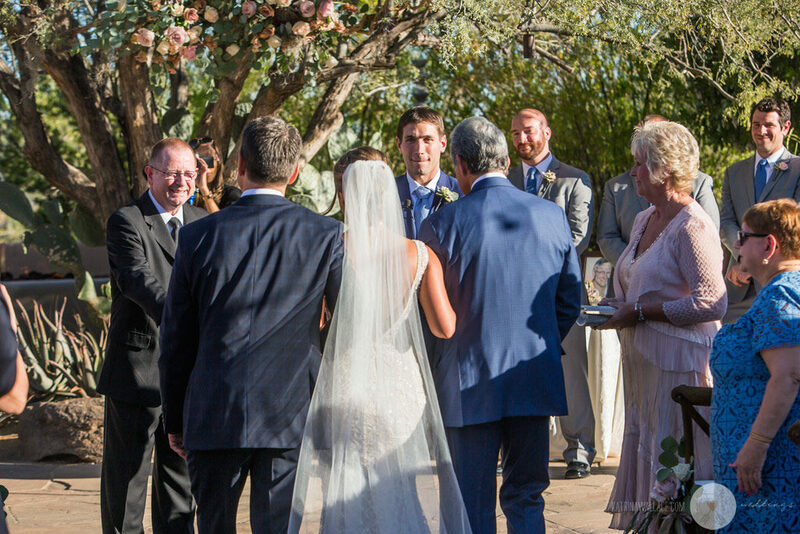 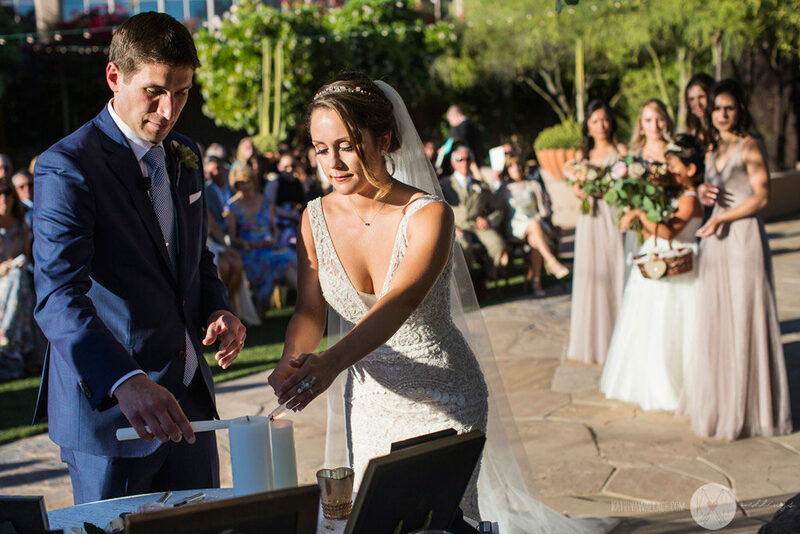 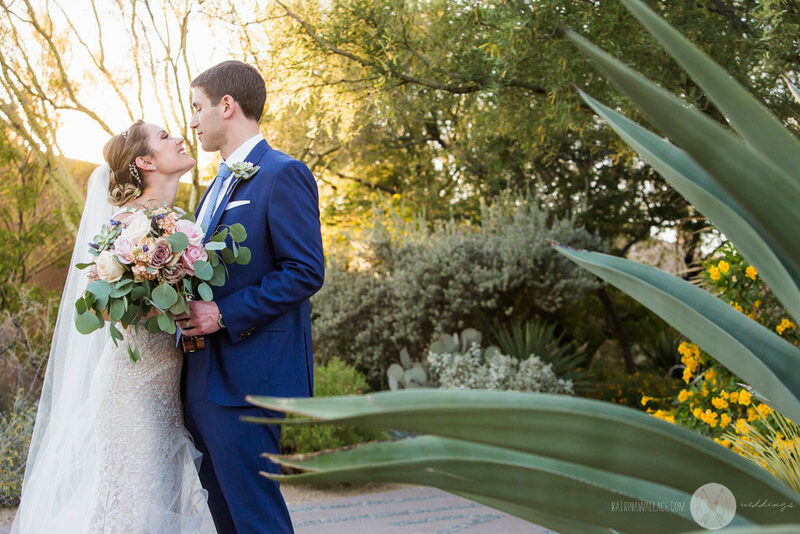 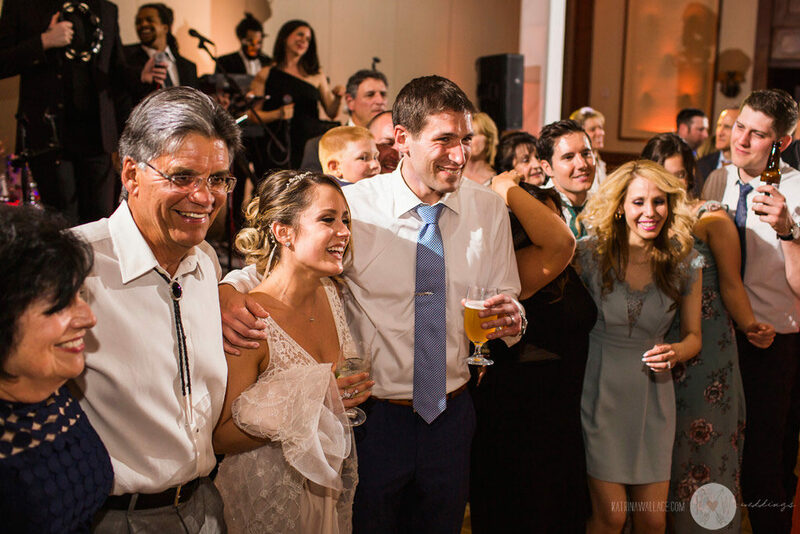 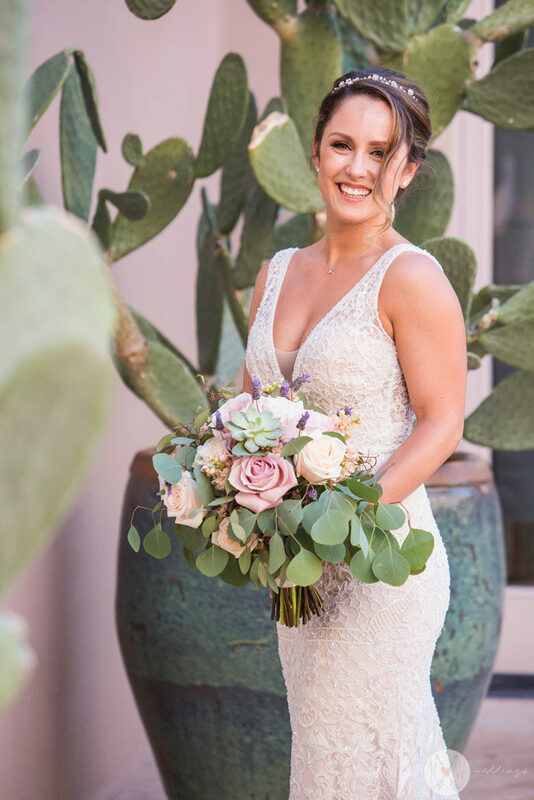 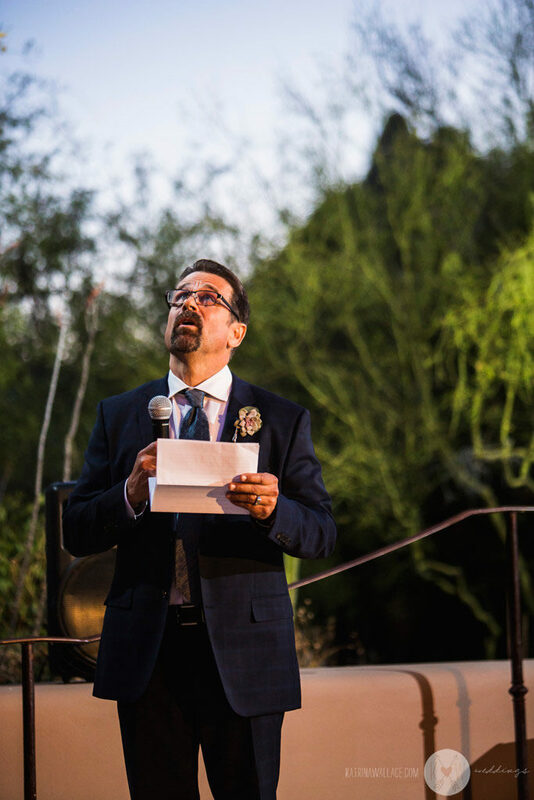 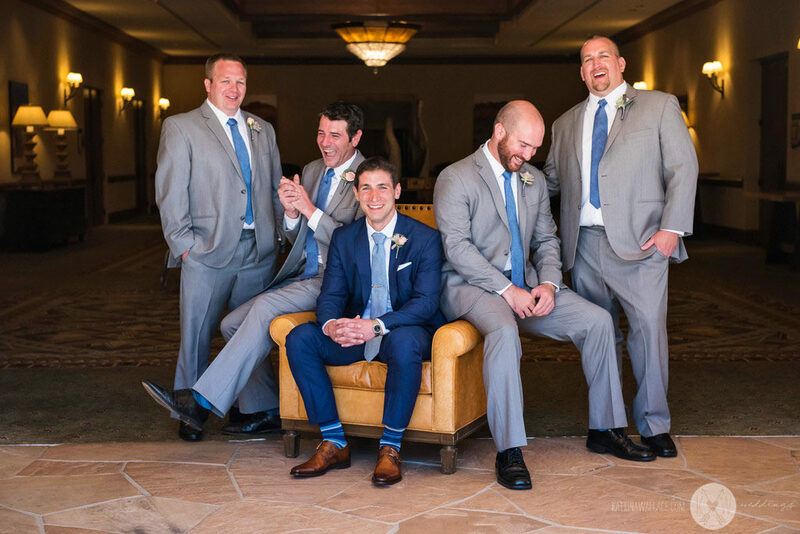 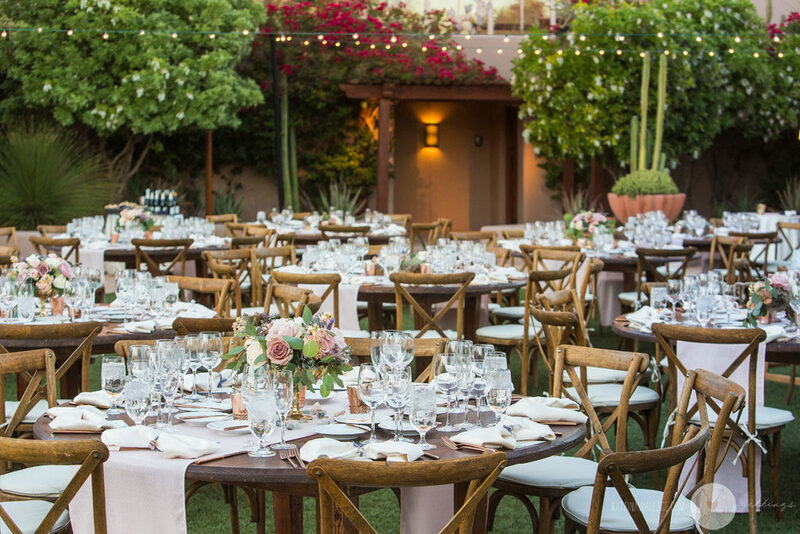 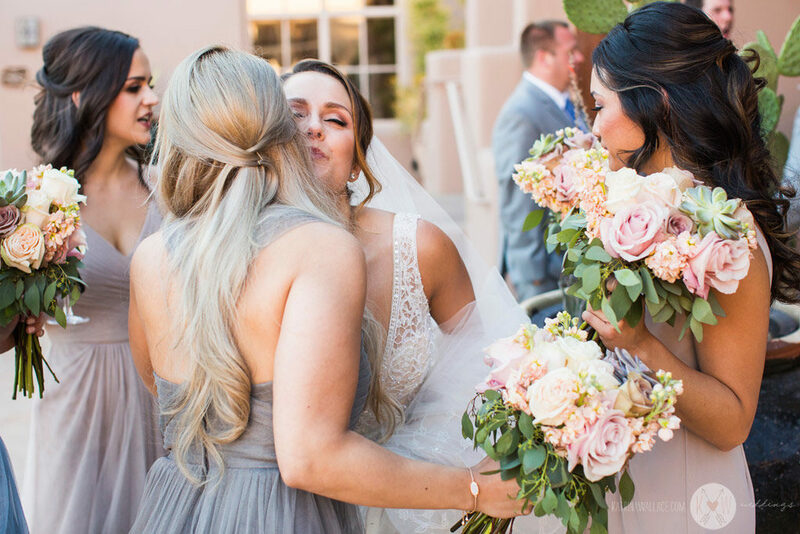 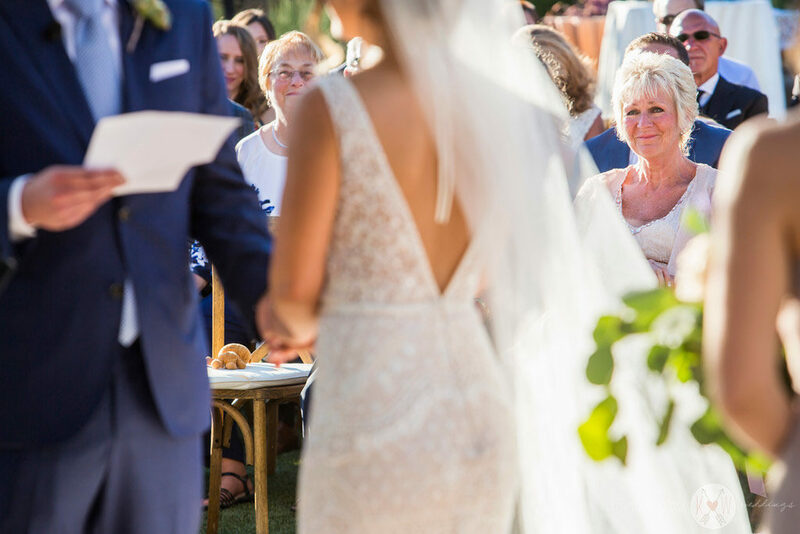 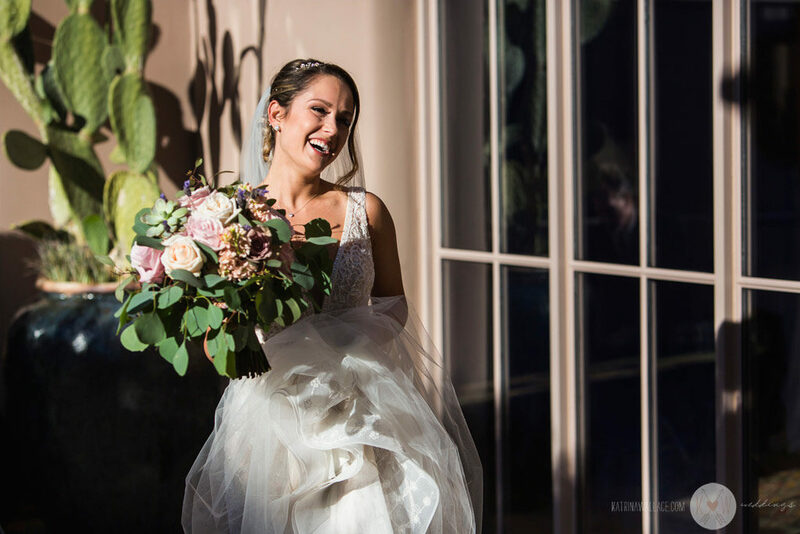 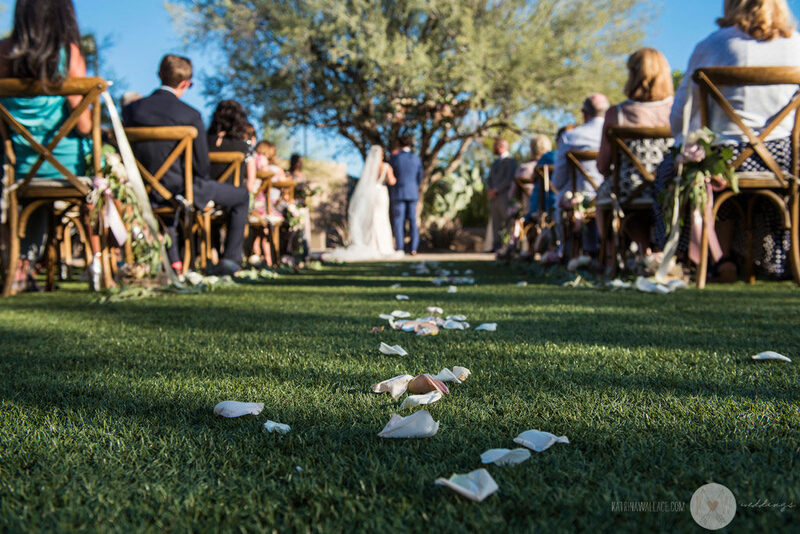 Care Schmidt, of Sterling Weddings and Events, planned and designed this gorgeous event weekend so that the bride, groom, and their family and friends could relax and soak up incredible Arizona Spring weather! 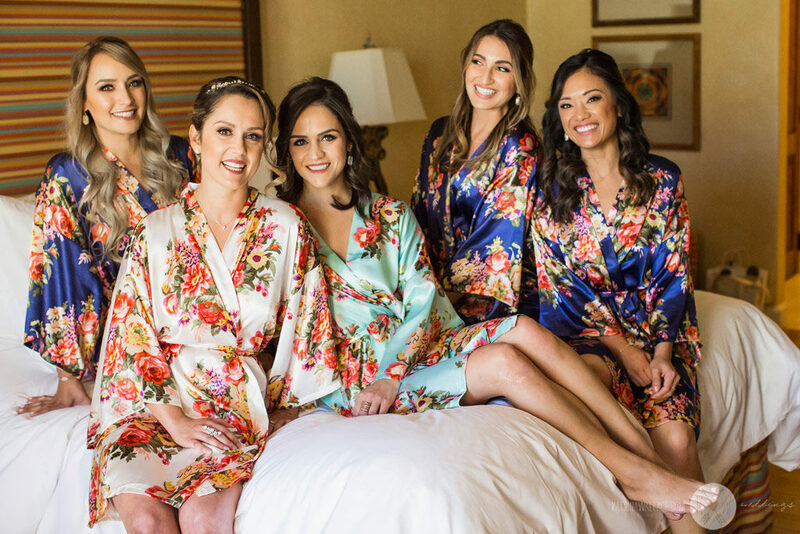 The wedding day started out with the girls getting ready in the bridal suite, and the boys getting ready together in a meeting room close to the ceremony location. 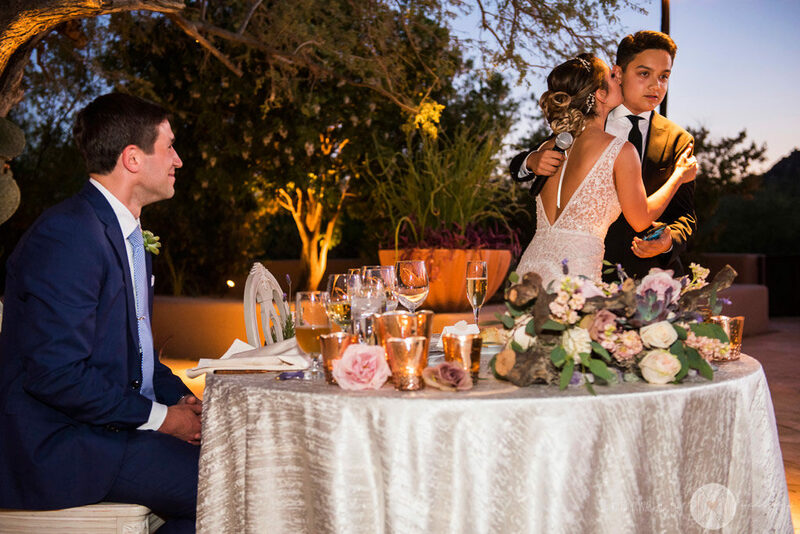 We always like to spend time with our couples during their preparation time with friends because they are preparing for something very special, and with the ones they love most. 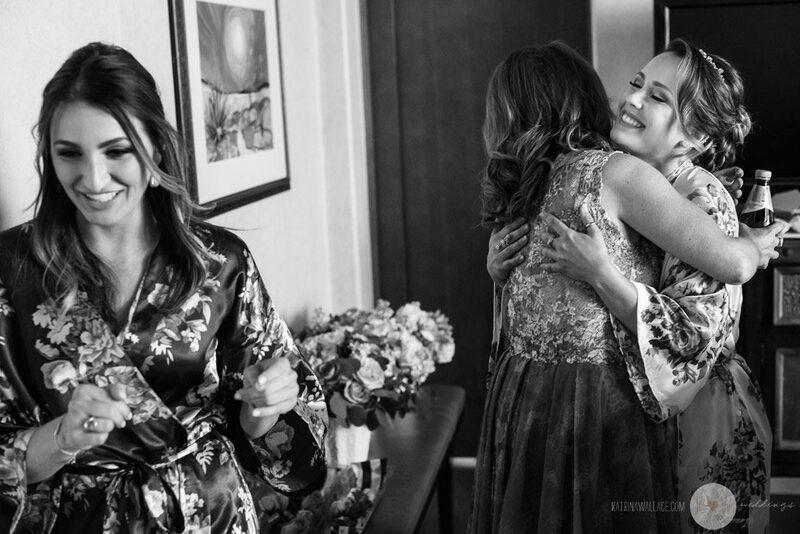 Bonds are made and true friendship is shared during this time, and it comes across in the photos. 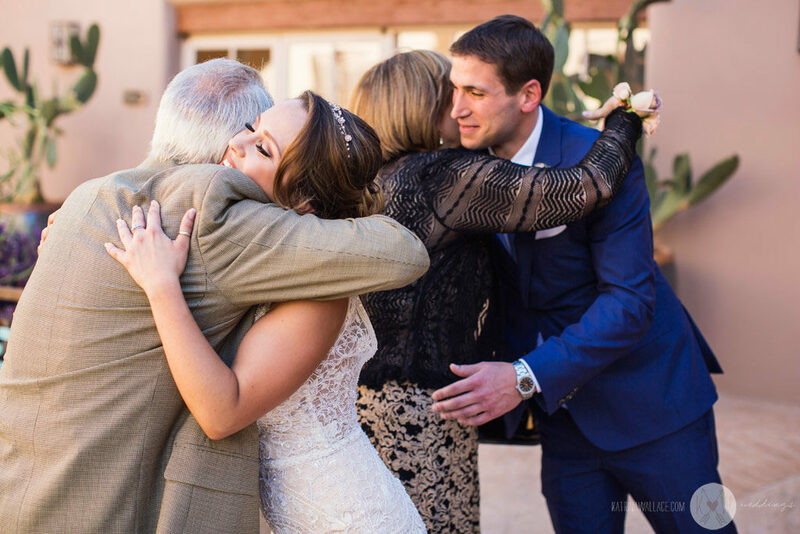 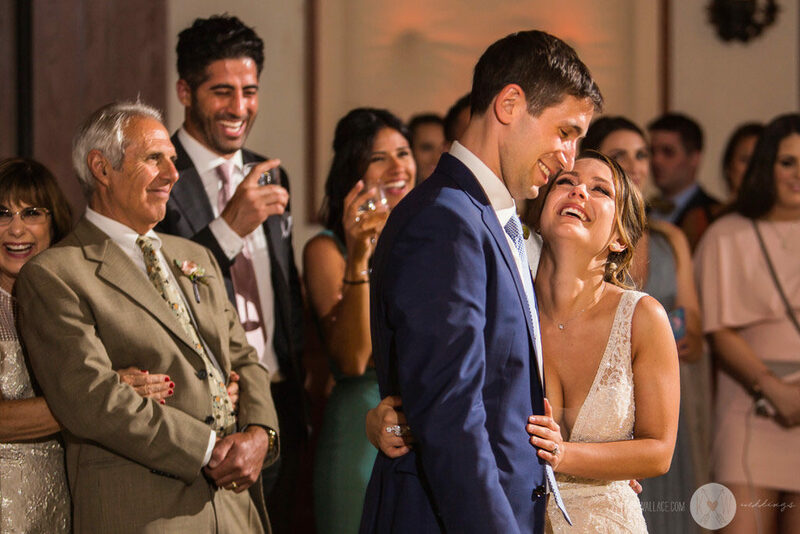 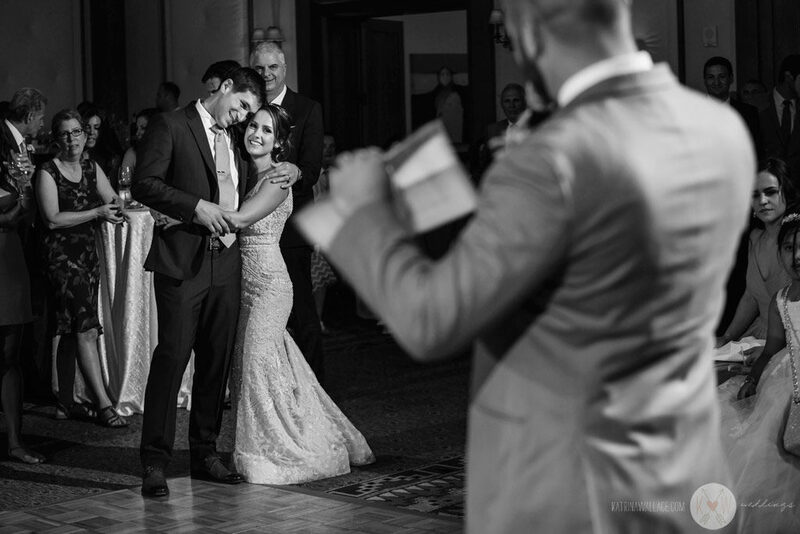 The first meeting is always a special time where the bride and groom get to see each other for the first time before the ceremony. 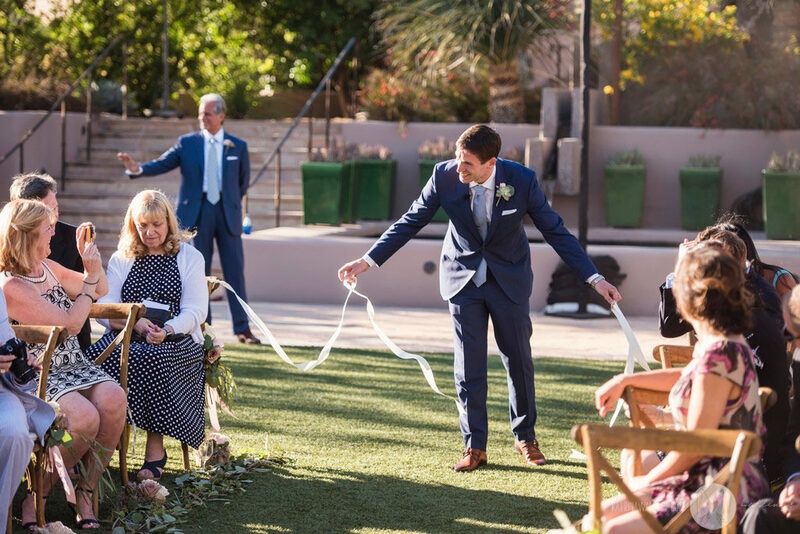 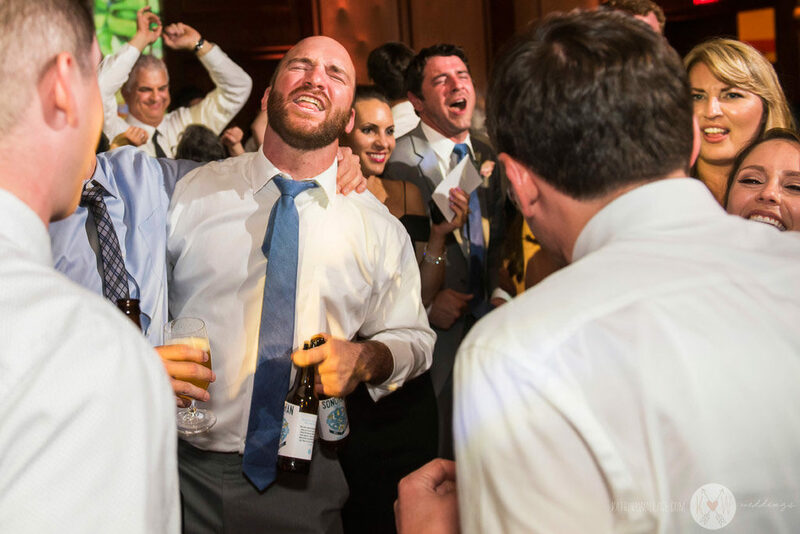 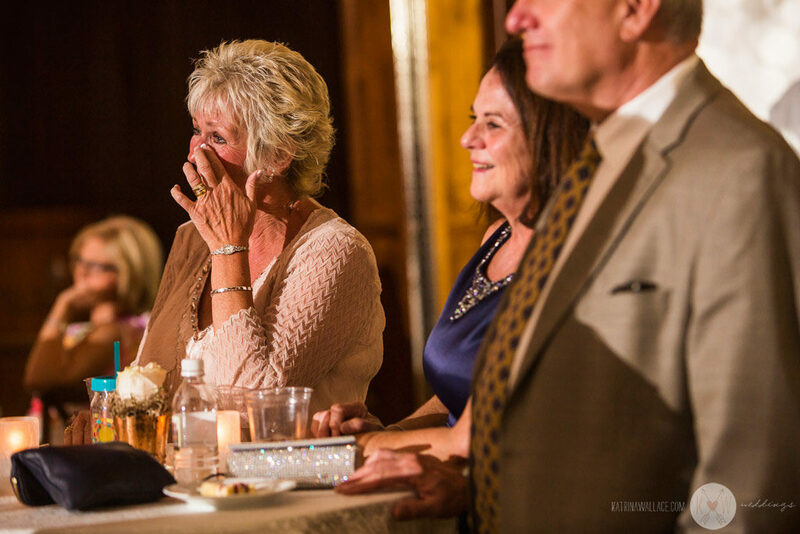 The groom tears away the ribbon that opens the ceremony aisle in preparation for the bride. 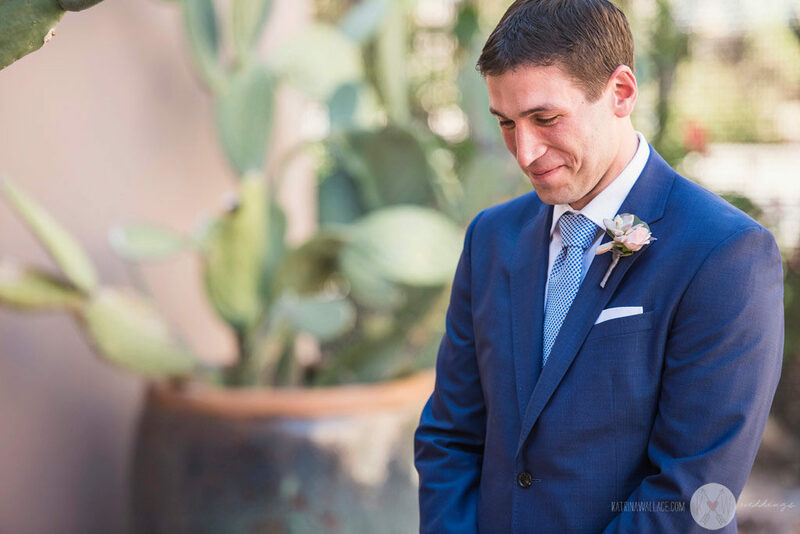 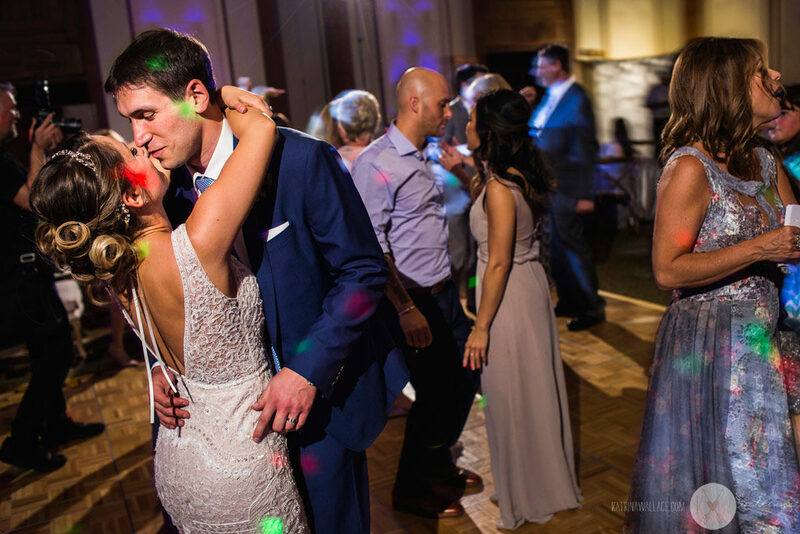 Romantic portraits also serve as a great time for newlyweds to connect and have a moment together before the celebration gets under way. 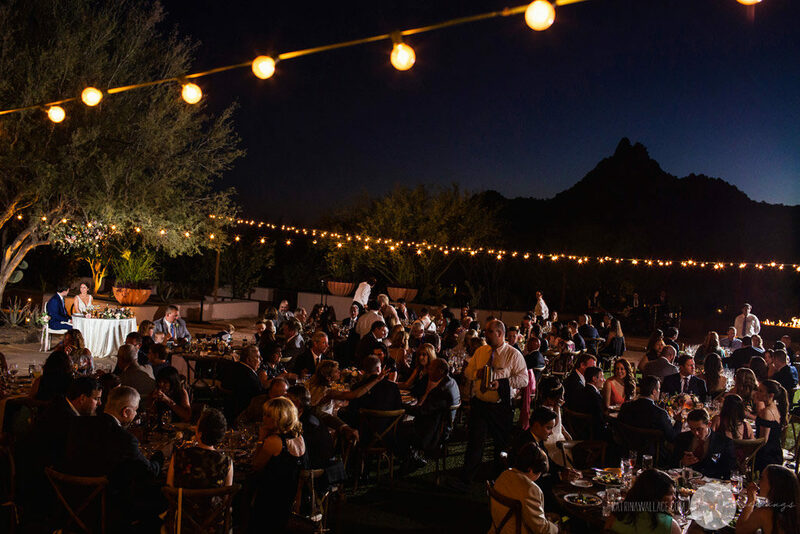 The dinner reception was intimate, beautiful, and with incredible food, and company. 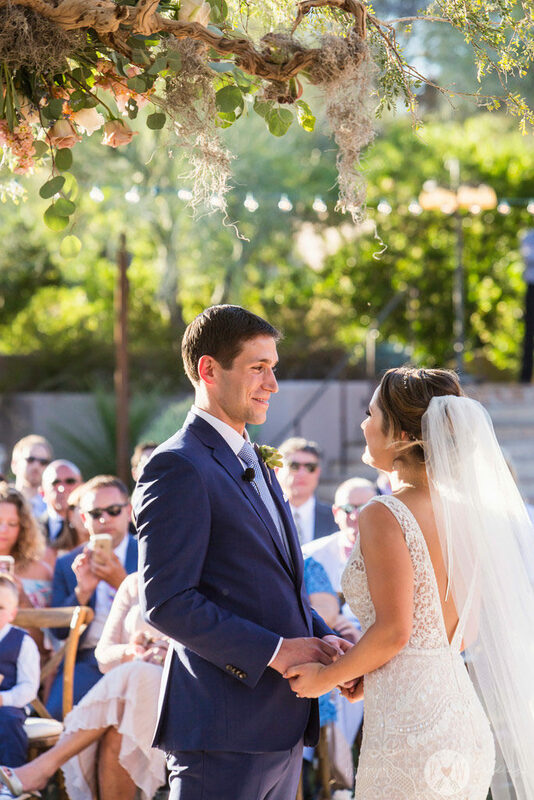 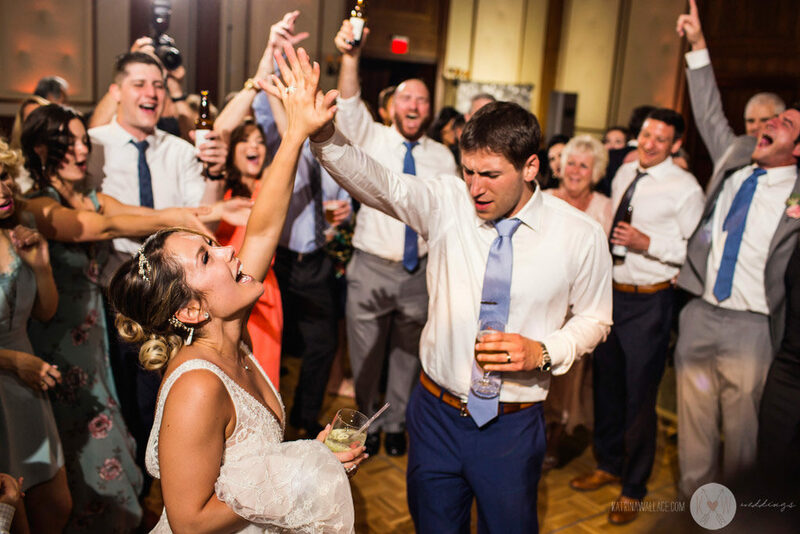 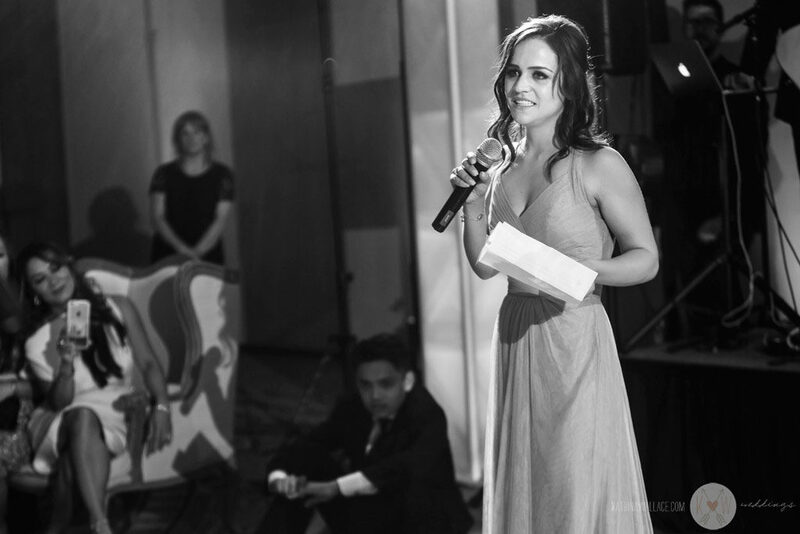 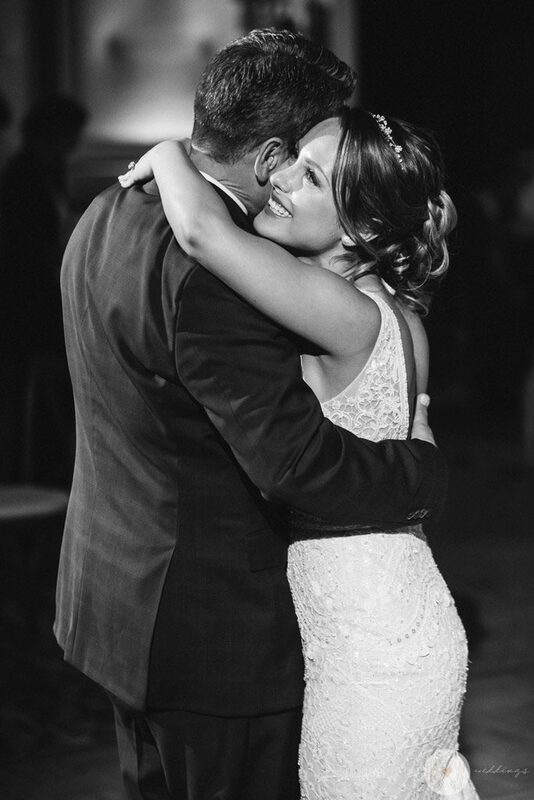 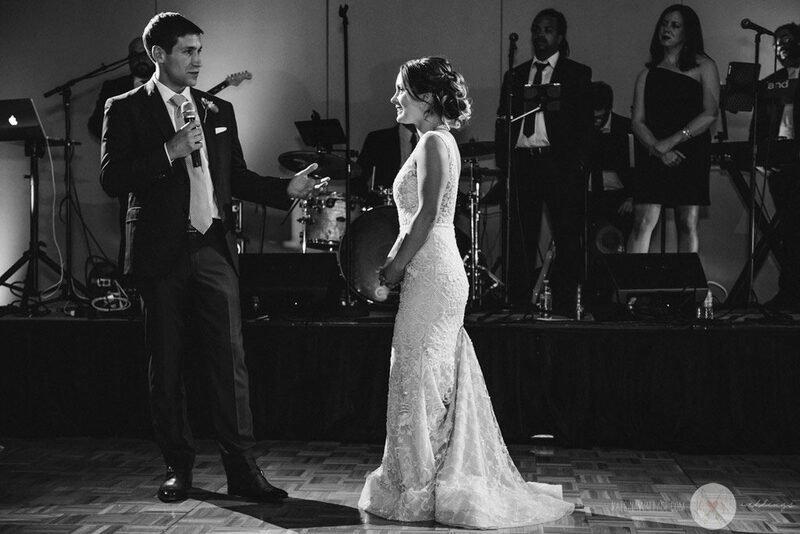 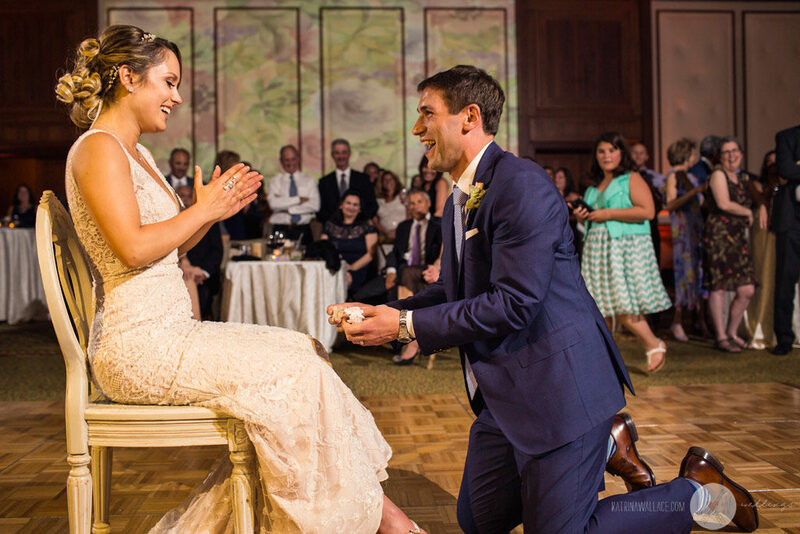 The best man and the maid of honor melted the audience with their words of love and support for this newlywed couple. 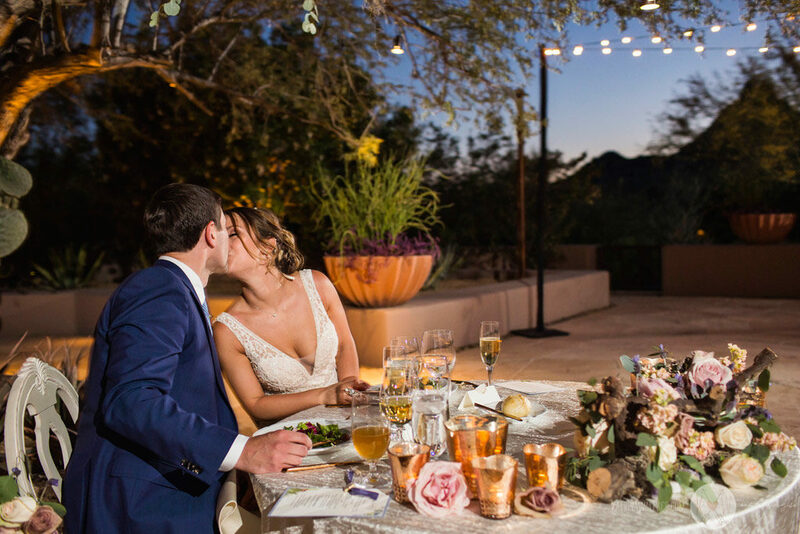 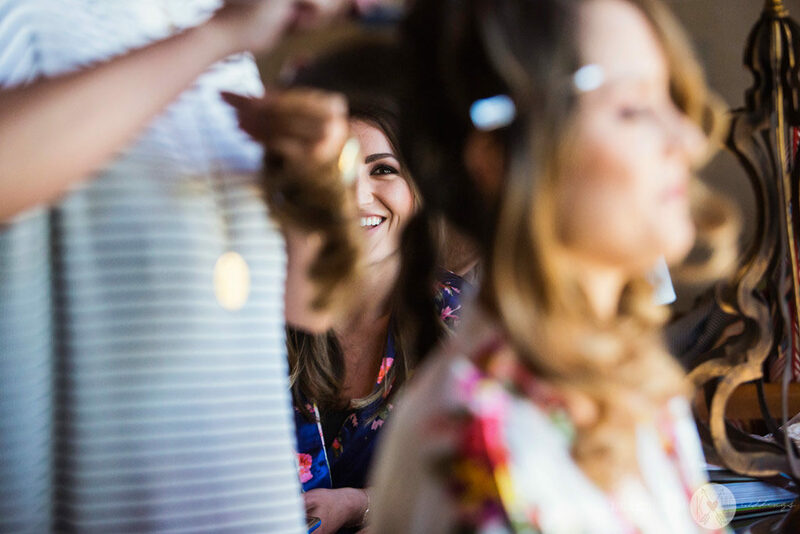 Here is a short list of all of the Arizona wedding professionals that made the magic happen at this gorgeous Four Seasons wedding. 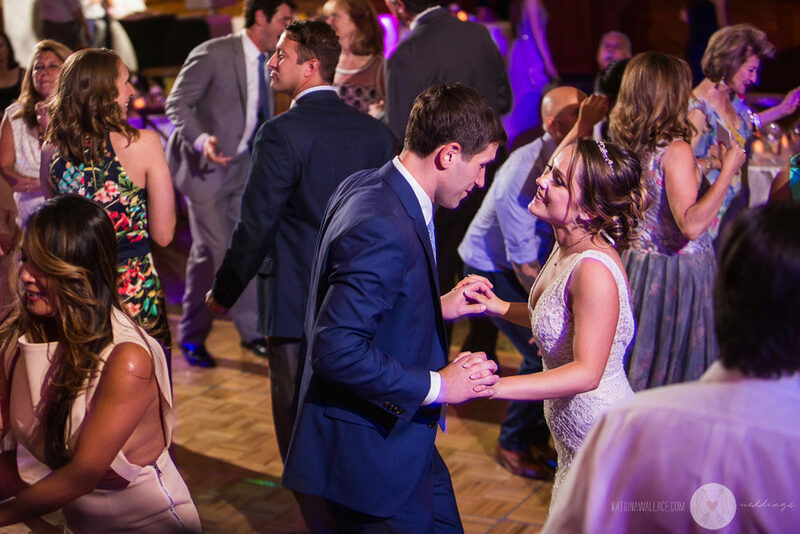 If we’ve missed anyone please let us know! 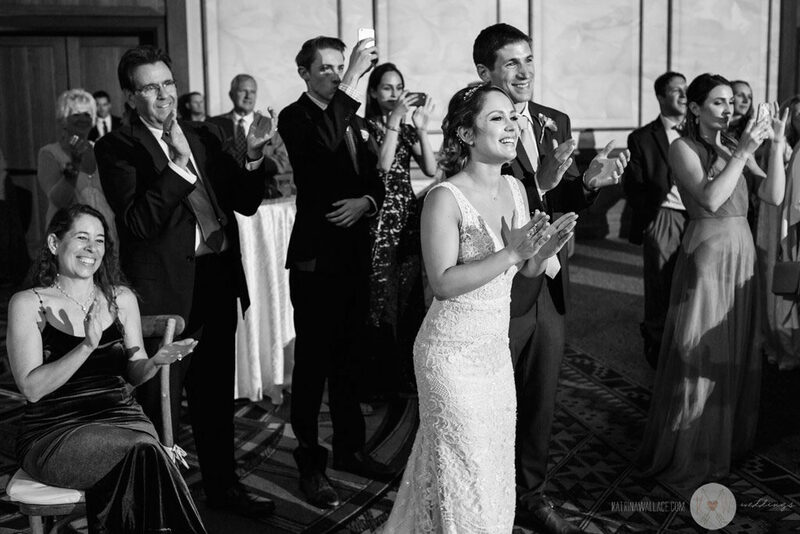 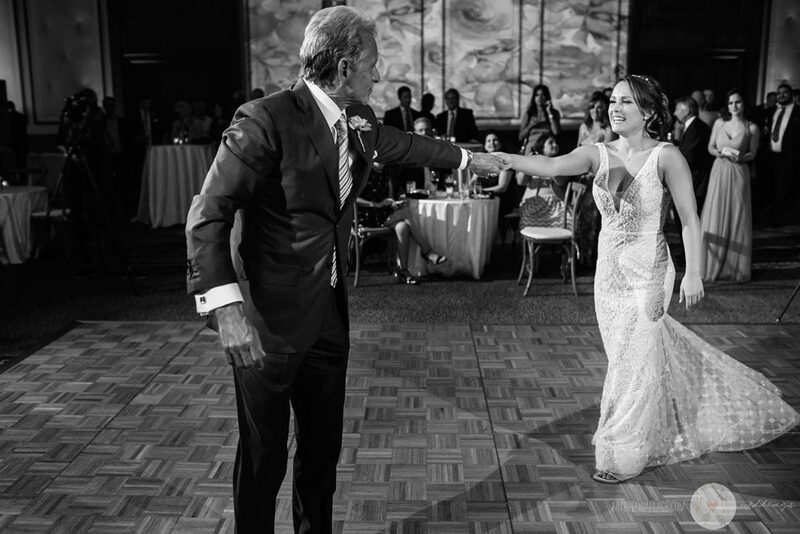 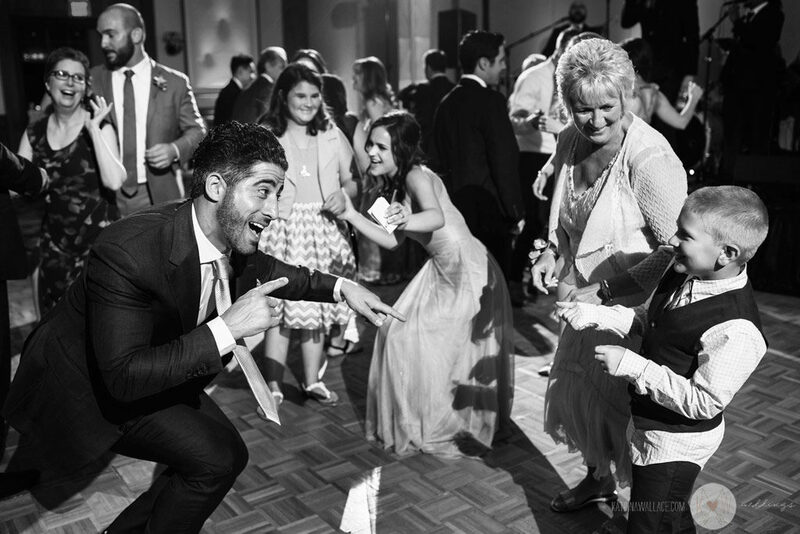 Click HERE to see Julia & Andy’s wedding at The Four Seasons on our Facebook fan page. 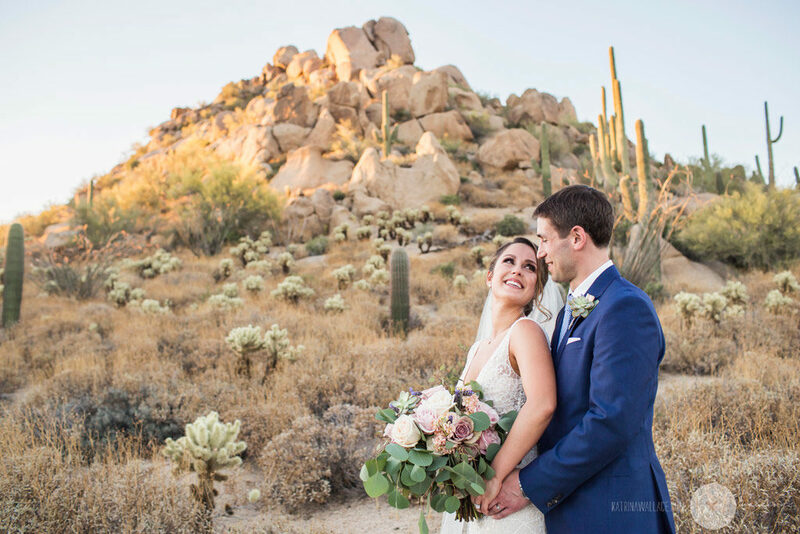 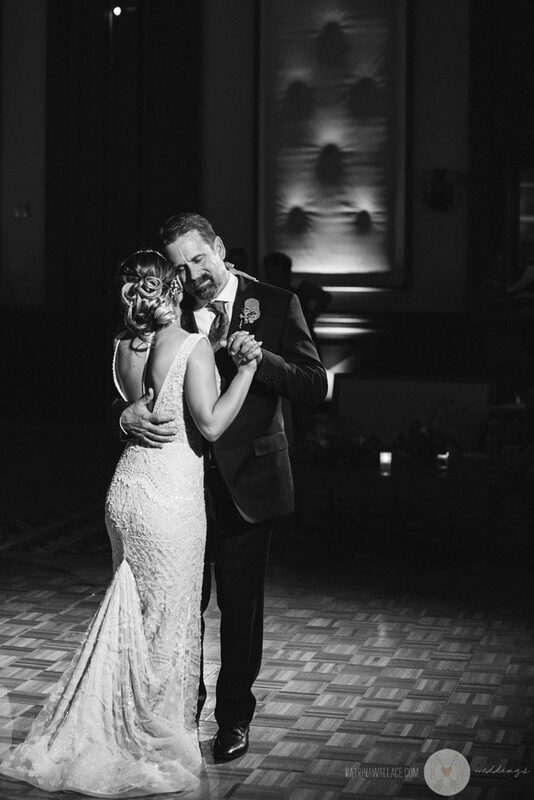 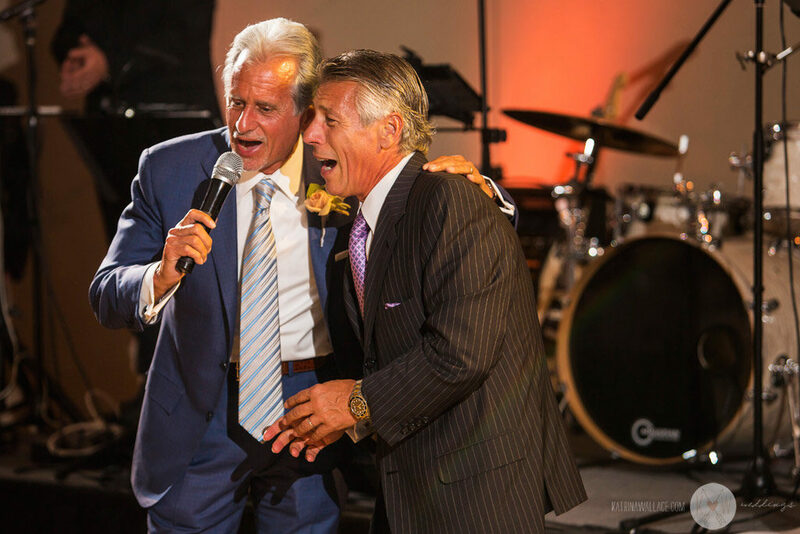 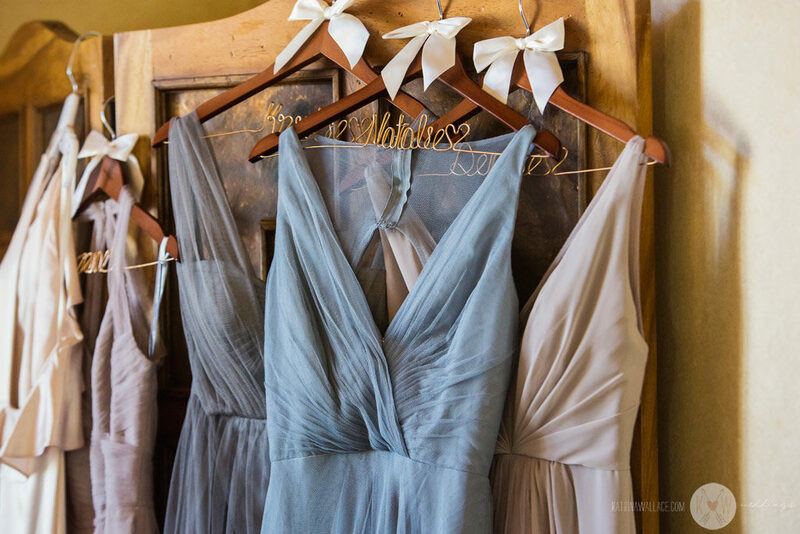 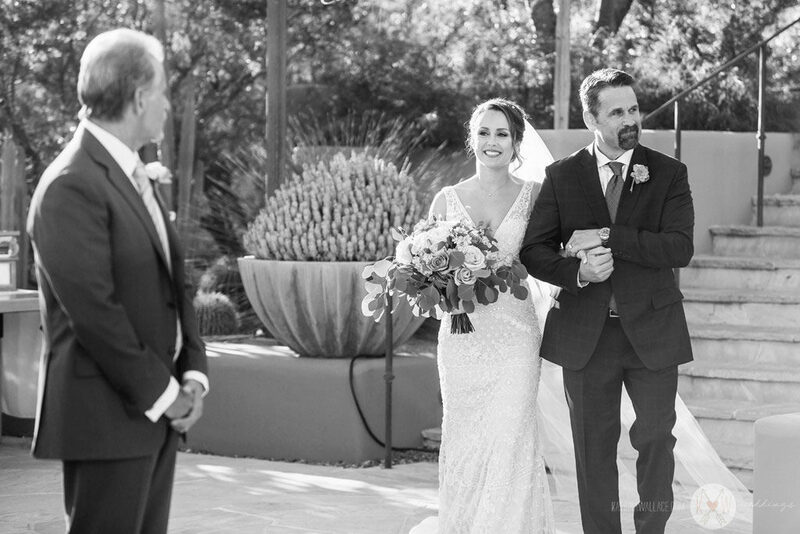 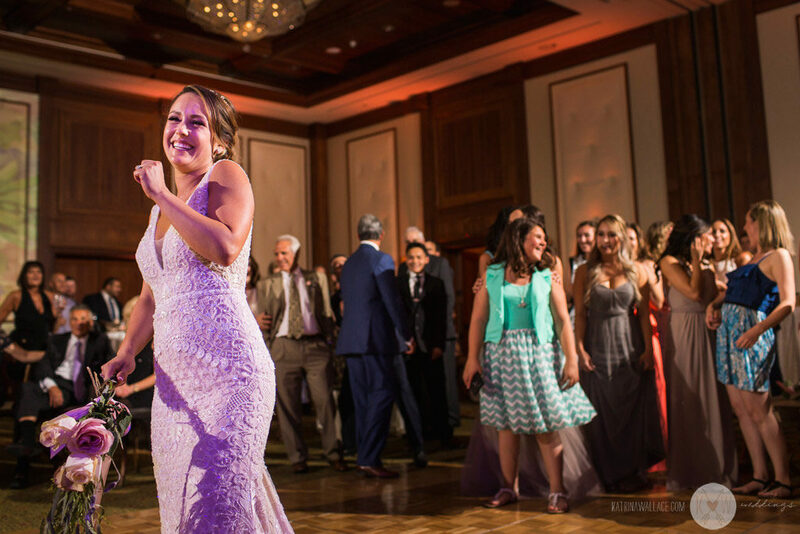 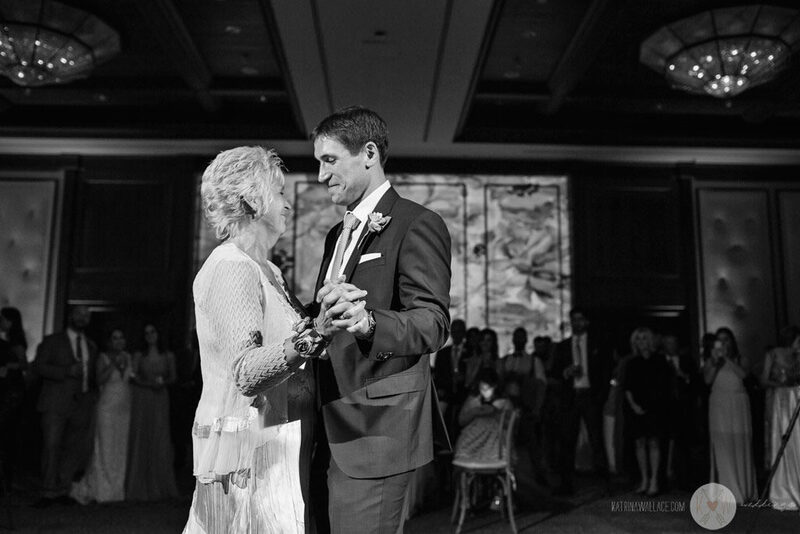 Click HERE to see Erin & Scott’s wedding at The Sanctuary on Camelback in Paradise Valley.